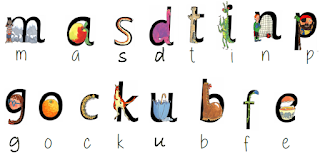 For children to be able to understand what the written message is about, (reading), they need to be able to ‘crack the code’ – we call it decoding or synthetic phonics- recognising the letters as sounds to blend together to make a word. At Garsington Primary we follow a programme by Ruth Miskin called Read, Write Inc. She believes that children who learn to read phonetically use reading more as a tool for learning, and pleasure, than those who learn to read by other methods. How we teach Read, Write Inc.
Phonics is taught daily in a short, active, fun way. After Christmas we will also work in smaller groups to teach guided reading and writing. Your child will learn the 44 sounds in our language and how to blend and segment these sounds to help them to read and write words. 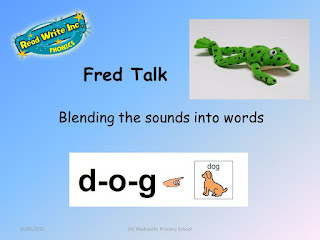 You may see children using ‘fingers for writing’ or ‘Fred talk’ . This helps children segment a word into sounds in order to write the correct letters. Initially we tell the children the number of fingers they need. To start with children often cannot hear some sounds, particularly vowels in the middle of words. How do we say the letter sounds? Either ‘short and bouncy’ or ‘stretchy’. The English language is tricky because there are 5 vowels but 20 vowel sounds. These are words that are decodable because they only contain sounds that your child will be able to recognise. Every week your child will now receive letter sound homework for you to help them with. 1. Say the pictures – they all begin with …. 2. Child says the given sentence as they write the letter. 3. Sound writing – child says sound as they write the letter. 4. Help your child to find an item beginning with that sound to bring in for the ‘sound table’. 5. Return the homework in the folder during that week for marking, then keep at home for reference. If your child knows the sounds already, focus on the handwriting. 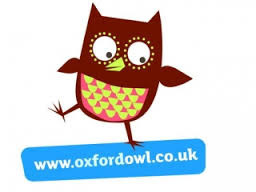 www.oxfordowl.co.uk : tips, video clips and you can listen to ‘how to say sounds’. www.phonicsplay.co.uk : includes lots of interactive phonics games. The value of reading to your child cannot be underestimated. Please continue to take a book daily from the bookshelf to read to your child. Commenting yourself on the pictures and the story is a good way of modelling interest. Similarly, asking and answering your own questions, such as I wonder why...., maybe its because... will encourage your child to think deeply about the text as well. Children also love to be told stories - it allows them to build their own pictures and reflect on actions and consequences without the constraints of pictures.